What do you do after you win an Oscar for playing the world’s most famous theoretical physicist? Join the Harry Potter universe, apparently. Eddie Redmayne, who recently picked up the Best Actor statue for his performance as Stephen Hawking in biopic The Theory of Everything has officially been cast as the lead in Potter spinoff/pseudo-prequel Fantastic Beasts and Where to Find Them. He will play “magizoologist” Newt Scamander, author of the famous Hogwarts textbook that gives the film its title. 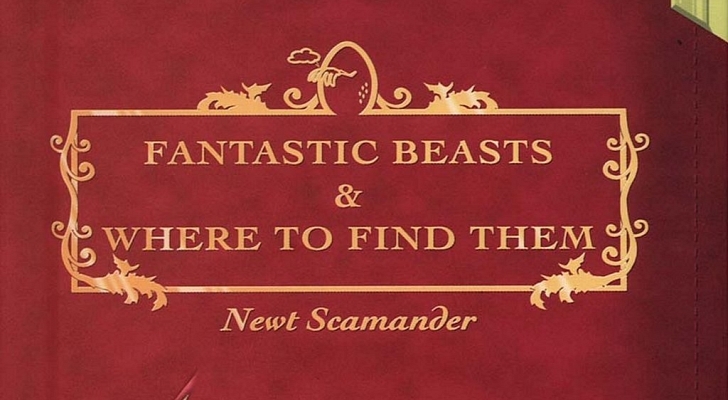 Fantastic Beasts is set 70 years before the events chronicled in the Potter novels, and follows the adventures of Scamander as he travels about the Wizarding World documenting the different strange and magical creatures he encounters. The book he writes about these travels will be studied years later by Hogwarts students, including Harry, Ron and Hermione. It should be noted, however, that Fantastic Beasts is neither a prequel or sequel to the megapopular Potter series, but merely an extension of the wizarding world in which those novels are set. So, you know, don’t expect James and Lily Potter, or the rest of the Marauders to show up suddenly. Though, technically, Albus Dumbledore is definitely alive and well during this time period, so there’s always hope, right? The film will be directed by David Yates, who helmed the final four films in the Harry Potter franchise. Rowling herself will write the script, in her screenwriting debut. And, according to Entertainment Weekly, the studio is looking to make a trilogy of movies centered around Scamander and his adventures, so you’ve got quite a bit to look forward to, if you love Rowlings world of witches and wizards. Fantastic Beasts is currently slated for a worldwide theatrical release on November 18, 2016. Are you psyched to see more from the world of Harry Potter? Mike Leighs movie Peterloo is out--who was marching that day and why? The trailer for "Mary Queen of Scots" looks royally entertaining.